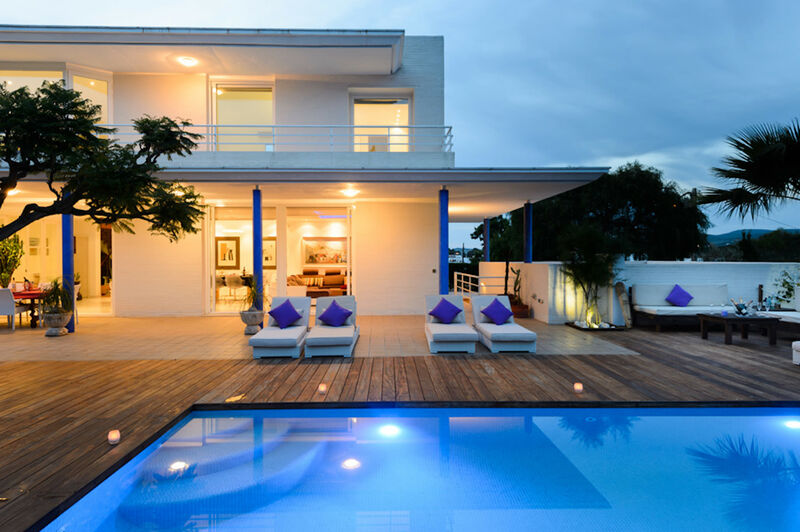 A stylish, newly built 5 bedroom villa offering generous rooms with lovely views of nature and a peaceful environment. Spacious and light-filled rooms have a modern finish on furniture using smooth materials and original designs. All bedrooms include built-in wardrobes and beds are covered with white linen delicately combined with vivid pillows. 1 bathroom with shower on the main floor. 1 bathroom with shower and bath tub on the first floor ensuite. 1 bathroom with shower on the first floor. Well equipped modern kitchen with hob, wooden dining table, toaster, microwave, dishwasher, oven, coffee maker, blender, juicer, fridge and teapots. 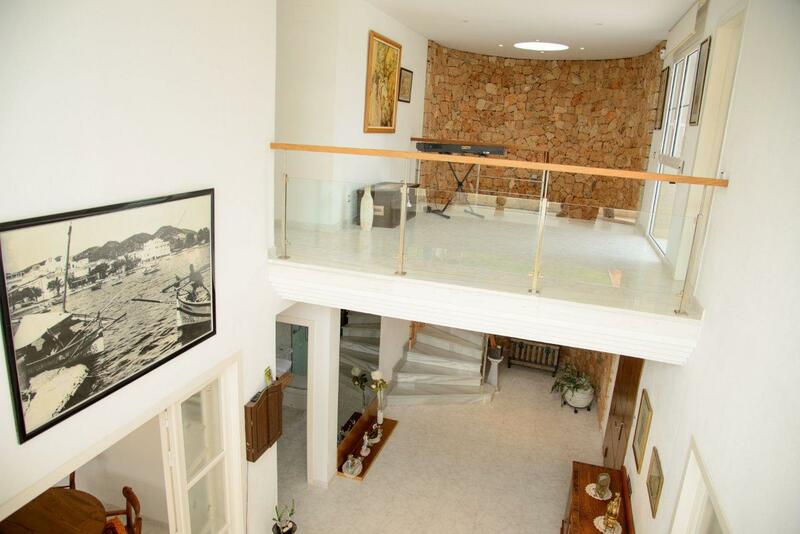 The villa has a bright living room including a dining area with an 8 seater table. Moreover, there is a cozy sofa placed in front of the TV offering views to the countryside through glass doors. 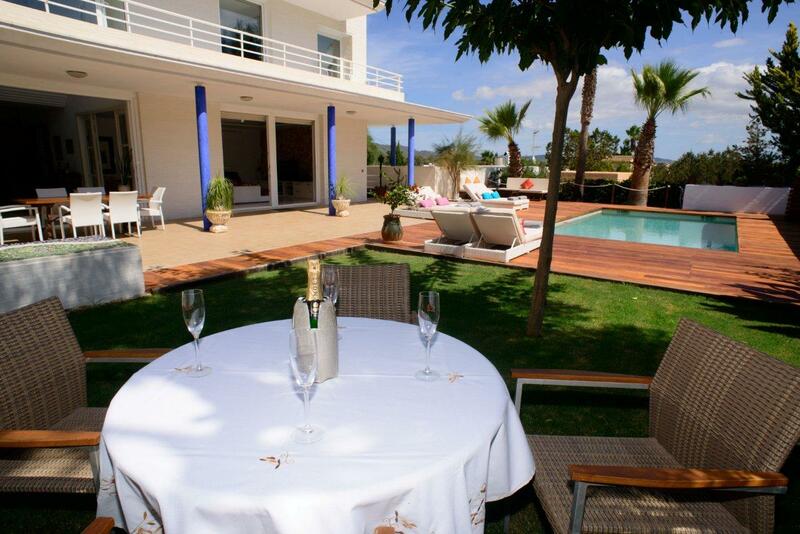 The property offers a Chillout area with sunbeds facing an amazing pool with wooden deck. Beautiful precise cut lawn offering ?Al Fresco? dining areas to enjoy your meals in pure nature. 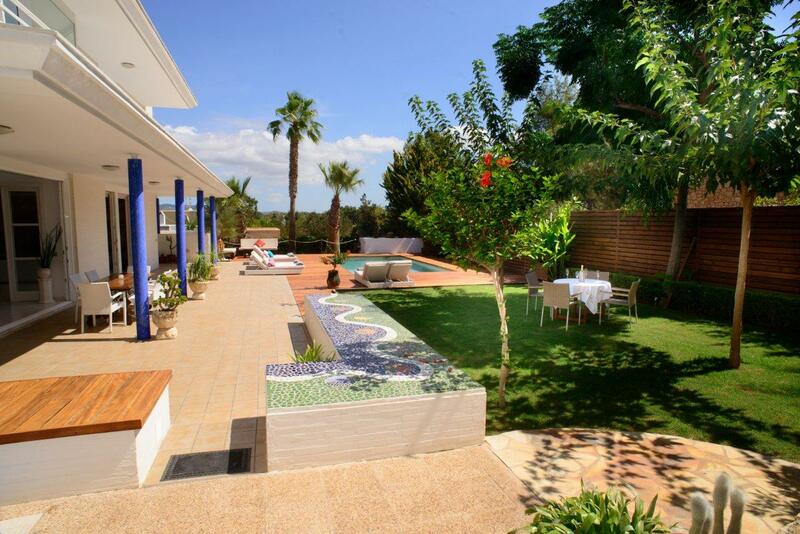 Our attractive Mediterranean villa ensures a pleasant vacation in Ibiza offering entertainment and peace. There is a lovely garden with a fish pond that will provide you hours of enjoyment.